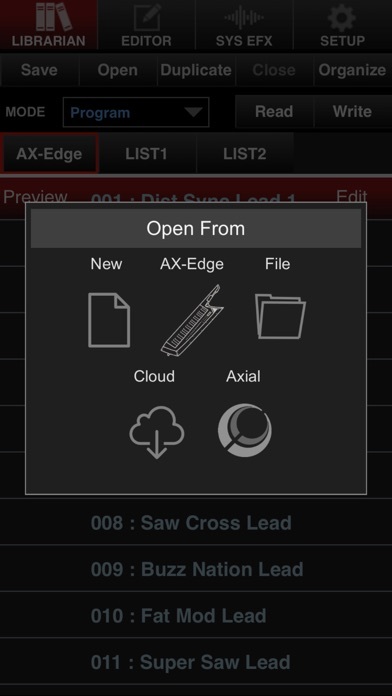 Customize the AX-Edge to your taste AX-Edge Editor is a free app that lets you take full advantage of your AX-Edge by customizing it to your taste. AX-Edge Editor provides editing functionality that lets you create original sounds and librarian functionality that lets you organize lists of sounds as needed for different performance situations. 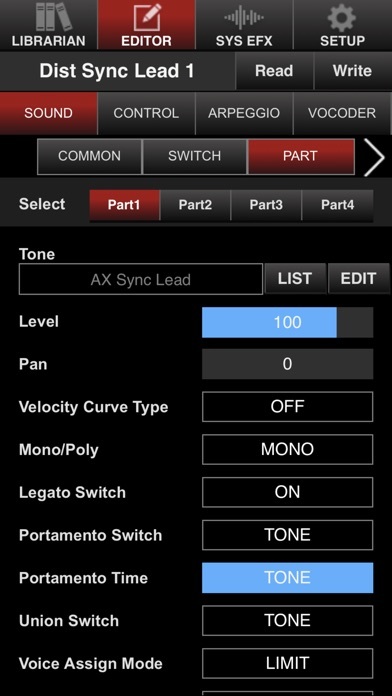 It also provides numerous other useful functions, such as system effect editing that lets you customize the output sound appropriately for each live performance venue, and the ability to download additional sound lists and sound data from Axial in a single operation. The AX-Edge features a distinctive external appearance, and now you can also customize its sound to give it even more of your own personality. Main features: - Program editing and tone editing let you create your own original sounds (programs and tones). 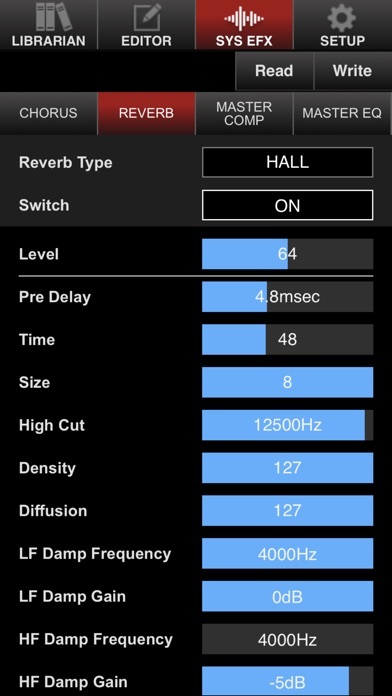 - System effect editing lets you adjust effects such as EQ and reverb as appropriate for your live performance venue. - Librarian lets you create, save, and recall program lists and tone lists as needed for different performance situations. 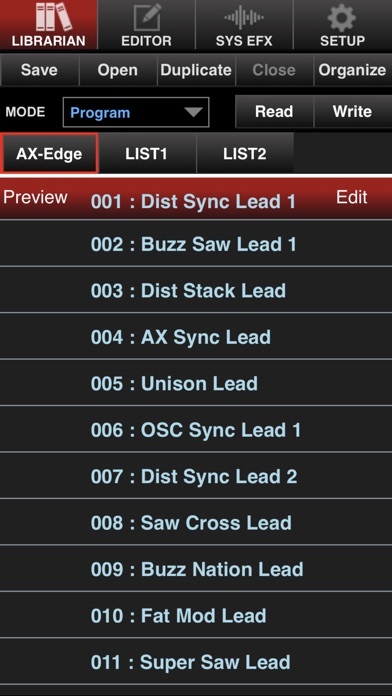 - You can download additional sound lists and sound data in a single operation from Axial (*) and load them into your AX-Edge. - The app connects to your AX-Edge wirelessly via Bluetooth. * Axial is a sound library site that lets you download additional sounds for Roland synthesizers. I was really stoked to get the AX Edge, but frustration quickly arose when trying to edit patches. There needs to be a desktop app for synth editing. The mobile editor has too many bugs. Parameters don’t always read properly, and change when I switch through the pages. For example, when I edit a patch, the parts in the “switch” tab will randomly change from off to on, as if it doesn’t read properly the first time. The PCM list doesn’t show the right sound source half the time. For example, I will set it to the first patch in INT A which is a saw, but coming back to it, it will show its set to a piano. MFX don’t always register properly. I have to switch them on then off for it to recognize I want the FX off. Pitch modulation and routing is very unstable. I will change the course/fine pitch or keytrack pitch and it will randomly offset the parameter +/-1 when I switch tabs. Same for the amplitude envelopes. I have to change it multiple times for it to stay in place. Overall the app interface is very unintuitive and would be much easier if it was matrix based, where all the modulation and routings are on a single grid.